Founded in 1837, Atlanta has a rich and varied history. Originally named Marthasville (to honor the governor’s daughter), Atlanta got her namesake as the feminine version of Atlantic, apropos because of her location as the end of the Western and Atlantic railroad line. After General William Sherman burned the city to the ground during the Civil War, Atlanta had a slow revitalization. The state capital was moved from Milledgeville to Atlanta in the late 1860s; Atlanta became the largest city in Georgia in 1880. The editor of the Atlanta Constitution, Henry Grady, began advertising Atlanta to investors as the “New South” which led to the founding of the Georgia Institute of Technology in 1885 and brought the Cotton States and International Exposition to the city streets in 1895. The 1900s brought expansive growth, in both business and architecture. Several of the historical buildings still seen around Atlanta today were built during this era, and many of the city’s favorite neighborhoods were developed during this economic boom, as well. The 1950s brought interstates, connecting Atlanta to its suburbs, and the 1960s brought the Civil Rights Movement and Dr. Martin Luther King, Jr. The 1960s and 1970s saw the opening of the Georgia World Congress Center as well as MARTA. Also during that time, Hartsfield-Jackson Atlanta International Airport became the busiest airport in the world. 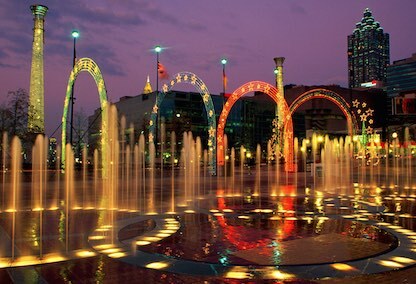 In the 1990s, much of Atlanta underwent a reconstruction and improvement, readying itself for the 1996 Olympic Games, and many of those improvements can still be seen today. The 2000s saw an increase in population, a change in demographics, and a cultural upheaval. Neighborhoods began gentrifying, the city began investing in parks, green spaces, and other recreation, and Atlanta is now a culturally and racially diverse city with plenty to offer. Atlanta has plenty of attractions and activities to offer her guests. From annual festivals, such as the Dogwood Festival, Music Midtown, the Peach Drop, and the Peachtree Road Race to year-round attractions such as the Georgia Aquarium, Zoo Atlanta, the High Museum of Art, and the Atlanta Botanical Garden, Atlanta is a bustling city that has something for everyone. 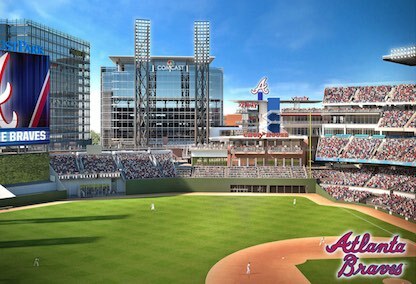 The Atlanta Braves, Atlanta Hawks, and Atlanta Falcons provide countless hours of entertainment for Atlanta sports fans, and with the two newer football and baseball stadiums, attending an Atlanta sports game is an event in itself. Not only a cultural and social hub, but also an economic hub, Atlanta is the destination of choice for many Americans. With some of the top Fortune 500 companies calling Atlanta home, the constant growth and development will likely continue, enabling the city to remain an economic powerhouse for years to come. Atlanta weather can be brutal in the summer, but the temperate springs and autumns make up for the humid summers. Winters are mostly mild, with the occasional snowfall. And if the weather in the city doesn’t agree with you, there are hundreds of restaurants, coffee shops, and cafes available for you to pass the time inside of. Being a traditional southern city, food is a mainstay in Atlanta. Traditional southern, Asian, African, Mexican – if you’re a foodie, Atlanta is for you. Despite being a major metropolitan area, Atlanta is covered with trees, parks, and greenspace. Piedmont Park, Grant Park, Candler Park, Freedom Park, Fernbank Forest, the Atlanta Beltline – all offer something different to the Atlanta citizen wanting to spend time outdoors.